We are excited to feature the work of Lindsay Morris as the next Ctrl+P: Photography Taken Offline artist. Lindsay Morris was born and raised in suburban Detroit, Lindsay Morris resides on the East End of Long Island. Her passion for photography began at age 18, when she was given her first camera while spending a year in South Africa as a youth exchange student. In college, she returned to Africa with the School for International Training and spent a semester documenting the radically changing lives of the people of the Lamu Archipelago in Kenya. Her photographic career course detoured in the ’90s when she launched her own line of responsibly made women’s clothing, which she designed and had produced in India, China and New York, but she invariably found herself drawn back to her original art medium. Since 2006, she has been photo editor for Edible East End magazine, where she documents the food culture on Long Island. She has exhibited her work throughout the Midwest and with Sara Nightingale, NY; Art Hamptons International, NY; The Robin Rice Gallery, NY; and The Art Movement, UK, at AAF, NY. Her work has been published as a cover story for the New York Times Magazine and Sunday Life Australia as well as Marie Claire (France), the Photo Review, Internazionale, Haaretz (Israel), Neon (Germany) and Origin. Lindsay studied at the School of the Art Institute of Chicago and holds a BFA from the University of Michigan School of Art. 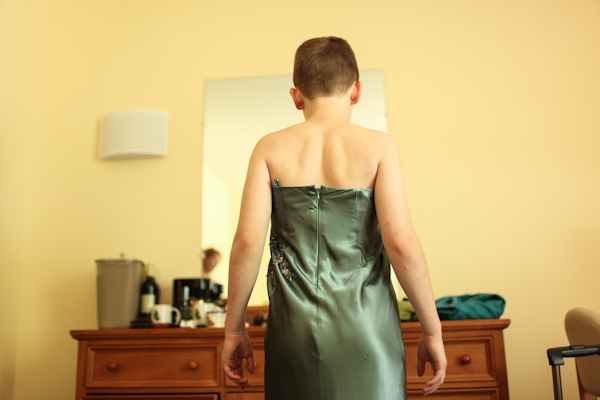 This project documents the experience of gender non-conforming and transgender boys at an annual weekend family camp. A 2009 GLSEN (Gay, Lesbian & Straight Education Network) survey found that nine out of ten LGBT students experience harassment at school and nearly two thirds felt unsafe because of their sexual orientation. Statistically LGBT youth are two to three times more likely to attempt suicide than heterosexual young people. In a society where 20 percent of LGBT youth will run away from home because of conflicts with their families over their sexual identities, this essay describes something different. 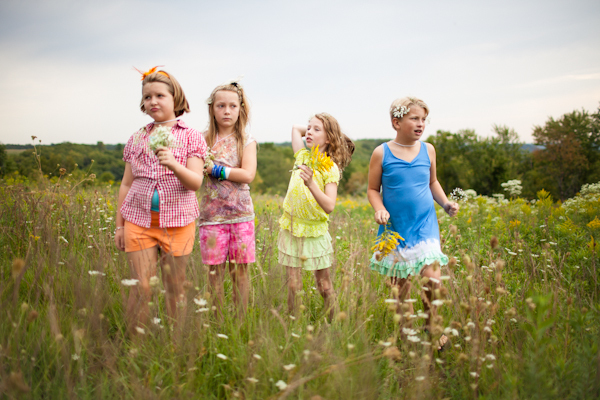 Camp You Are You (whose name has been changed to protect the privacy of the participants) offers a temporary safe haven where gender variant boys can freely express their interpretations of femininity alongside their parents and siblings. My photographic goal is to represent the spirit of these boys as they shine. When together, they are supported to be true to their inner nature. They may don wigs, high heels and gem-encrusted tiaras without feeling the need to look over their shoulders. My intention is to produce a body of work that speaks out against intolerance while sharing with the viewer the beautiful spark of these boys. In portraying these children with an abundance of acceptance, I hope that this work can assist parents and the general public who struggle with their own uncertainties and prejudices with regard to the gender-unique population. The task of documenting these boys with a voice that is at once accepting and protective, celebratory and cautious is daunting, though I believe one which would make an important and timely contribution to the conversation currently taking place in the media, our schools and around the world. This photo essay is an opportunity for the viewer to experience the tolerance and affirmation that vitalizes these kids in a setting of acceptance. As this rare group of parents stands united in embracing these boys, most schools are only in the initial stages of developing the comprehensive anti-bullying/harassment polices that will be instrumental in protecting them.